A few years ago, during one of our Famous Novack Family Vacations, my dad took us all on a cruise to Alaska, setting sail out of Seattle. Alaska had always been on my bucket list after falling in love with one of my favorite reads, Into The Wild by Jon Krakauer. The cruise was fabulous to say the least but I told myself I’d go back one day and explore Alaska on dry land. If I had to choose one of my favorite travel destinations, this one rose straight to the top. 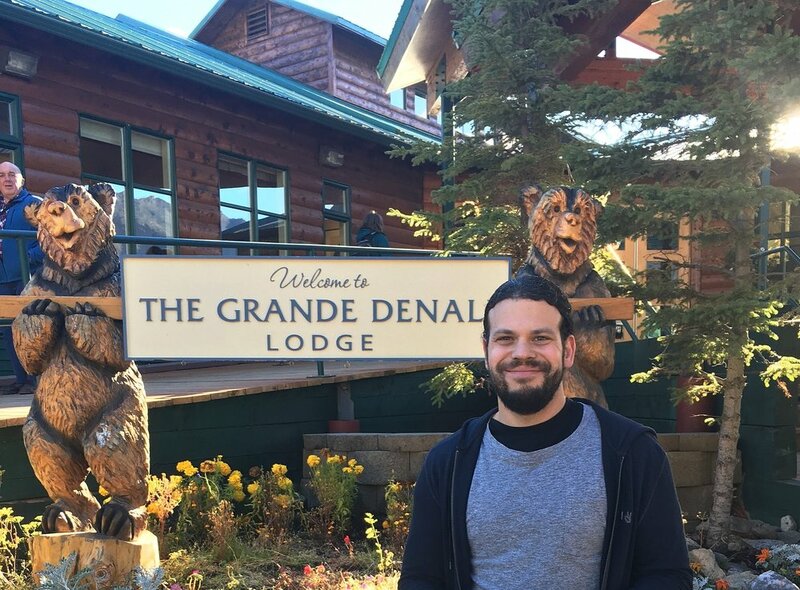 The capital, Anchorage, is Alaska’s most populous city (although that doesn’t say much) and has a few fun bars and restaurants to check out. We walked throughout the city, (you can easily walk the whole downtown area in a day). During the winter, they hold the Iditarod Trail Sled Dog Race on the first Saturday of March every year. The most beautiful place on earth. Denali National Park. Without a doubt, there are plenty of wildlife sightings here including Grizzly Bears, Moose, and Wolves. We were there during the autumn season so the trees were turning that beautiful yellow-red color. The season opens in May and ends in September. You can take a bus that’s free from the visitor center that will take you into the park. You can also hike inside the park but a small warning: You should definitely go with a group and come prepared as there has been a surplus of grizzly attacks over the years. My husband and I ended up taking a helicopter ride over the park because we wanted to go visit “The Magic Bus” from my favorite book. “The Magic Bus” was where Christopher McCandless lived up until the time of his death at a young age of 24 from starvation or possibly eating poisonous plants. The highlight of the trip for me! Wondertip: There are only 2 ways you can actually get to "The Magic Bus". If you're an experienced hiker and you have the time, you can hike The Stampede Trail which takes roughly 38 miles round trip. The terrain is pretty rugged and there are two river crossings that are pretty tricky. The easier and quicker alternative is taking a helicopter ride to the bus (which is what I recommend) and all of the helicopter services in Denali will most likely take you there (weather permitted). We used a company called Era Helicopter Tours and they were fantastic! Wandertip: This price is all inclusive and is one of the only hotels inside the park. Some of the most breathtaking scenery in Alaska, the Kenai Fjords was our last stop on the trip. We only stayed for one night at this cute B&B called Sauerdough Lodging, but there is lots to see around in Seward. I recommend taking a boat tour as you will most likely catch a glimpse of a Humpback whale! WonderTip: If you're looking for Humpback whales, seals, and aquatic wildlife, this is the place to see them! 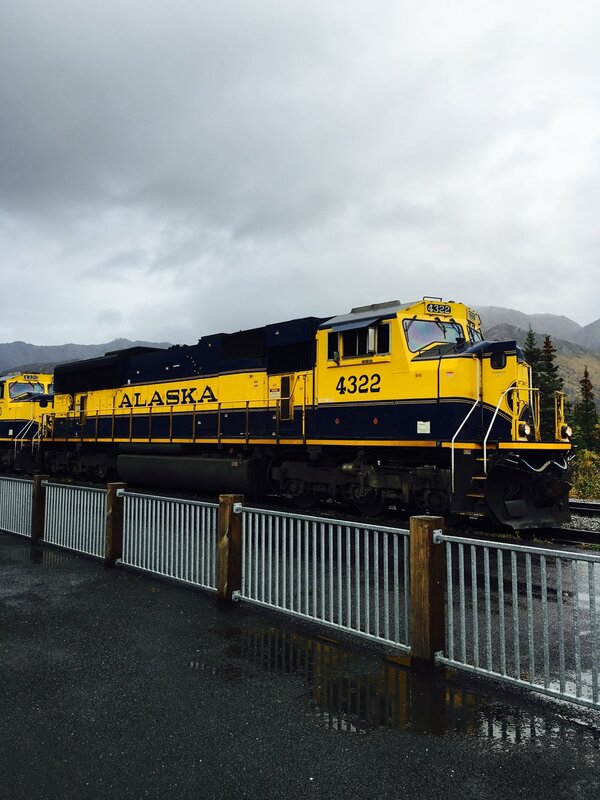 On our way up to Denali, we decided it was best to take the Great Alaskan Railroad. There is something so romantic about trains, especially in Alaska. Around every corner you are surrounded by wildlife and there is so much beauty within the wilderness, you feel like you are worlds away. This 8 hour train ride is one of the best ways to see Alaska.